Wherever there is a lot of people and a lot of washrooms, you’re sure to find hand dryers. Hand dryers are particularly important in places that have a duty of care and strict hygiene standards such as workplaces, hospitals, and schools. However, one type of hand dryer doesn’t necessarily suit all locations. This is especially the case with schools, as both primary and secondary schools have different needs and requirements. Most importantly, noise and heat levels needs to be taken into consideration for younger children, while speed and durability are important for the older kids. When you’re looking for the best hand dryers for schools 2018 can offer, you should also be considering hygiene, cost, and energy efficiency. 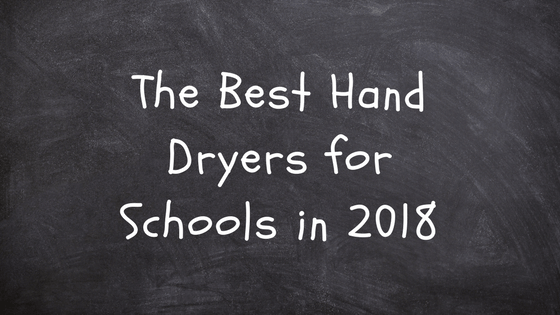 Luckily, we have a range of hand dryers that tick all of these boxes and we’ve narrowed your search down to the best hand dryers for primary and secondary schools in this post! The age range of children in primary schools is 5-11, or younger if you factor in nursery and reception. Schools have a duty of care as they take on full responsibility for pupils. This is particularly true at the younger age groups, when early development is taking place. At young ages, children’s ears and skin are sensitive and can be damaged easily, which is why it’s important to find hand dryers with appropriate temperature settings and noise levels. 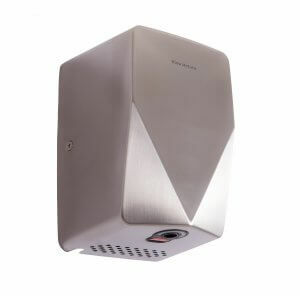 A perfect example of a primary school suitable hand dryer is the MX2000W. Putting out only 72db of noise during operation, it’s extremely quiet compared to the competition. It’s also super fast drying, minimising children’s time away from the classroom and has a cold air setting, eliminating the risk of damage to young pupils’ more sensitive hands. The MX2000W is cost effective and 75% more energy efficient than most high-speed competitors which means 100 dries can cost as little as 2 pence. Hygienic, low volume, energy efficient, and cost effective, this is the perfect school hand dryer for primary ages. If you’re looking for a livelier design for primary school washrooms, our customisable hand dryers are perfect. 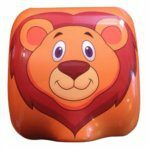 You can add your own colours, designs, or characters, making drying hands more fun for young children. You can read more about customisable hand dryers on the product page! As children move up into secondary school, the most important elements to consider in hand dryers change to durability, strength, and resistance to high traffic. The durability of the VBlast Compact makes it perfect for this mission brief. This hand dryer is also rust proof and vandal resistant, meaning it’s more likely to survive the trials of a secondary school bathroom. 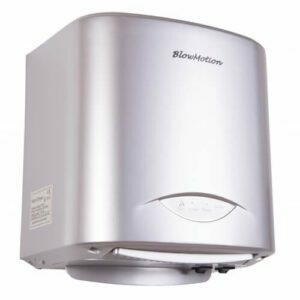 The VBlast is a sleek, high tech hand dryer made out of stainless steel and equipped with a blue drying indicator light. It’s a quick way to modernise your washrooms while ensuring you won’t be fixing or replacing your hand dryers every six months. Here at Blow Motion we understand our customers and know exactly what your requirements are. We’ve supplied a broad range of customers in the education sector and thousands of pupils use our hand dryers on a daily basis.